Now Is the Time for a Complete Residential HVAC System Replacement! Temperatures are cooling down as we enter November and head toward winter. If you are considering replacing your old heating system, the fall is one of the ideal times to arrange to have the job done. It’s much better to have a new furnace ready to go to work when the chilly weather hits than to scramble to arrange it in the middle of winter. Posted in Tax Credits & Rebates | Comments Off on Now Is the Time for a Complete Residential HVAC System Replacement! Is It Time to Have a New Furnace Installed? It’s October, and although we’re still experiencing warmer weather (mixed with rain), the cooling-off period is not far away. Before we know it, winter will arrive and settle in for its regular stay. Now is a good time to consider making any necessary major changes to the heating system that serves your home. You don’t want to try to arrange for the installation of a new furnace during the coldest period of winter, after all! If you have a furnace in your home that has served for more than 15 or 20 years, it may be time to retire it and have a new furnace installed. The job isn’t as difficult as you imagine, especially when you call on experienced HVAC professionals like the ones at Purl’s Sheet Metal. How old is the furnace? Check when the furnace was installed. Most gas furnaces have a life expectancy between 15 and 20 years, and electric furnaces a bit longer than this. If you have a system that is over 20 years old, then it’s probably time to have it replaced—even if it shows no outward signs of failing or performance issues. It’s better to get ahead of the problem. And with 20 years of service, the furnace has already returned your original investment in it a few times over. Have winter energy bills been rising? Take a look over your energy bills for the past few winters and see if there is a pattern of increasing costs. If you cannot account for a noticeable rise because of greater use of the system, then the issue is probably a furnace that is declining. If the furnace has received regular maintenance and still shows this loss of efficiency, then it is too old to continue to work effectively. How often does the furnace need repair work? A furnace should need few repairs during its first few years of service (provided it has routine inspections and tune-ups). After that, it might need a repair every few years. When it needs repairs once or twice a year, or if the repair total to keep it running annually exceeds $500, then you are spending too much on fixing it and should instead put the money toward a replacement. Purl’s Sheet Metal & Air Conditioning offers heating replacement in Fresno, CA and throughout the Central Valley. 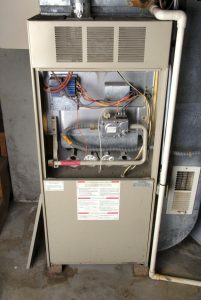 Posted in Heating | Comments Off on Is It Time to Have a New Furnace Installed?